Warming up for some of the best DJs, organising garden parties and probably the best boat parties in the UK. The guys responsible for this are none other than High Tide. They have grown a lot, with this summer season seeing them hosting their own party in Sankeys Ibiza for one of their closing parties. And that is not all! Lately the guys have started working on their own music label High Tide Recordings. We had a chat with them before the trip to Ibiza and here is what they had to say. 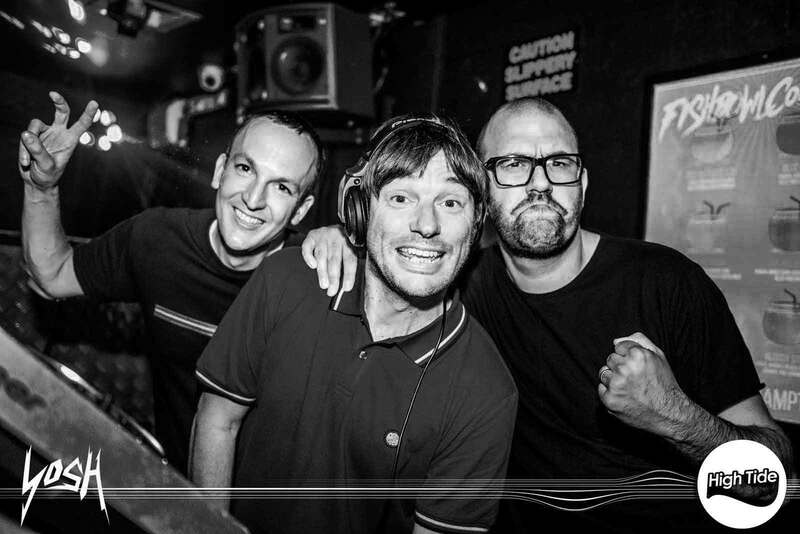 (The founders, DJs and best friends behind High Tide from left to right, Stephen Knight, Gary Bennetton and Dan Reid). When, how and why was High Tide created? High Tide was created by Gary Bennetton and Dan Reid about 10 years ago with Stephen Knight joining in 2007. Gary and Dan had long been resident DJs at the ‘Release’ night at Rhinos (before it shut) and wanted to bring something new to Southampton’s nightlife. Initially, the High Tide boat parties were just resident DJs where you could just turn up and buy a ticket. At first, we never knew if anyone was going to turn up, there was no Facebook and no buying tickets in advance. 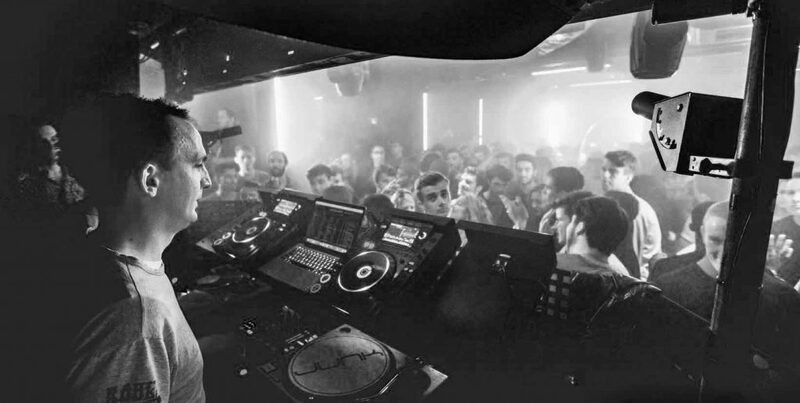 It gradually built a solid local reputation for underground dance music and became a firm staple in the Southampton nightlife with its loyal intimate crowd of only 300 people, always selling out. What is High Tide’s greatest achievement thus far? Getting Carl Cox to wear a High Tide T Shirt at Space! We also pride ourselves on putting on intimate parties with good resident DJs and some of the world’s best headliners, many of who have heard about our infamous boat parties and actually want to come and play for us! There’s no one greatest achievement, but securing the likes of Carl Cox and John Digweed in recent years must be up there. Also, collaborating with DBP to create the Warehouse parties a few years ago was a very special time in Southampton. Times have moved on we no longer run events at the Engine Rooms (former Mo Warehouse); however it looks like they’ll be re-launching a club series this Autumn/Winter so keep your eyes peeled. Do you organise events exclusively in Southampton? We focus on Southampton as we know our crowd well, also the market has become very saturated in recent years with new promoters popping up intermittently but with no longevity. Don’t get us wrong, new club nights are essential for the local scene and keeps promoters on their toes and avoids complacency. Previously, we have hosted events at Matter (London), Bournemouth and we have the second room in Sankeys Ibiza for the 2016 closing parties – keep an eye on our fanpage for details. What is a standard working day for High Tide? High Tide is a sideline for all three of us and is more a labour of love than a business – it never makes money! Gary has his finger firmly stuck in many pies and is the owner of the Orange Rooms, Switch and Halo whilst also organizing Soundclash. Dan is a professional photographer and takes press shots for many professional DJs including Solomun, Nina Kraviz, James Zabiela, Joseph Capriati, Darius Syrossian, Hannah Wants and Eats Everything to name but a few (http://www.danreid.co.uk). Dan’s profile certainly helps us secure some of the A-listers! Steve works in property. Artist drinks riders – trying to find Grey Goose last minute in Sainsburys on a bank holiday never goes to plan! There’s also a lot of competition from other budding promoters, which is good as we’re always trying to develop new ideas and find new venues. There’s also a lot of politics about bookings acts and which venues their allowed to play in, although this seems to be less so in recent months. In some instances, the cost of DJs has spiraled out of control, which adds financial pressures. Time. Stress. You may not think it coming to one of our events, but a lot of time has gone into organizing them  When booking the bigger acts there’s also the very high ‘break even’ point on ticket sales; this is even more pertinent when organizing outdoor summer parties in the UK – we’re constantly glued and refreshing the damn weather app on the lead up to an event. Good drugs and a well stocked bar. Joking. The right crowd, audio engineer and sound system, lighting, venue and DJ. And in that order. Get the first four points wrong and it doesn’t which DJ you book, the atmosphere and party will suffer. What is the difference between club nights, boat parties and festivals, and why is there a difference? They each serve a purpose. Boat parties are great for attracting small like-minded intimate crowds. Club nights can focus more on the acoustics/sound and production. While, festivals are a sensory overload and great outdoor experience. We prefer the intimate vibes. Are there any kind of events you would like to organise, that you haven’t yet? A High Tide wedding or bahmitza is on the list, watch this space. And more vault parties; the Boiler Room party we did last year was pretty special. We’d also love a ‘high-rise’ event up one of Southampton’s taller city center buildings. Logistically, this is a nightmare with fire escapes. We’ll keep trying, one day we’ll nail it. What is the most memorable event you have organised, and why? The Carl Cox boat party for 300 people on the Jubilee Bank Holiday weekend a few years ago. You could feel the excitement and anticipation for this event, and the atmosphere on the day was unrivalled. It went off, oh yes oh yes. What are High Tide’s current favourite tracks and artists, to look out for in 2016? There’s a lot of local talent on the South Coast, we recommend checking productions from Junior Gee, Ronnie Spiteri, Jody Hannan, Reset Robot (‘Crystal’ has been going off at the garden parties this year) as well as our very own tracks being released as ‘High Tide’, and of course Dan Reid’s alter ego – Sleeperhold. Other firm High Tide staples include pretty much anything on 8bit record’s label (co-owned by Gorge and Nick Curly), Krankbrother, Hot Since 82, Richy Ahmed, Detlef Solomun, Deetron, Sasha and Cristoph. We could go on! If you like disco then Midland’s vinyl only ‘Regraded’ record is a summer 2016 essential. If you prefer something a little darker, the Eats Everything Remix of Flash by Green Velvet is sure to making an appearance in High Tide sets this autumn. UK based, has to be Bestival, you cannot beat the atmosphere around the main stage or port. Elrow is currently touring and has reset the standard for production whilst adding an element of fun and taking the pretense out of clubbing. Studio 338 is one of the best outdoor venues in London, although I’m not sure how long it’s going to be closed for following the recent fire. Fabric is probably our favorite, it’s been running so long and it has the best acoustics and sound systems in the industry, plus their faultless bookings, always delivering the best quality acts whilst prepared to take a risk – we’re gutted to see them go, they are an institution. ADE in Amsterdam should be added to your clubbing calendar too. During the Easter weekend you threw a party with Jamie Jones at Switch on 24th of March and also a boat party with Sasha on 27th of March. How long did it take you to organise both events? We only warmed up for Jamie Jones, the event was actually run in house by the Switch promotion team. Sasha took about 4 years to secure a date, he’s got a grueling touring schedule and because we can’t pay the headline fee for such a small venue (the boat), we have to ensure he could play another show in the UK after and nearby. All in the name of a good party! What are the plans for High Tide in 2016? Our new record label ‘High Tide Recordings’ has been officially launched! Meanwhile, we’re actually taking a back seat on events for the next few months so we can focus our attentions to the label and get it right. So far it’s much more time consuming than running events! You can find out more on our record label’s Facebook Page and Website. Our first release was from Sleeperhold and was released last month, in September 2016. Catch High Tide live at their Halloween boat party with Detlef and ABODE DJs on the 29th of October. 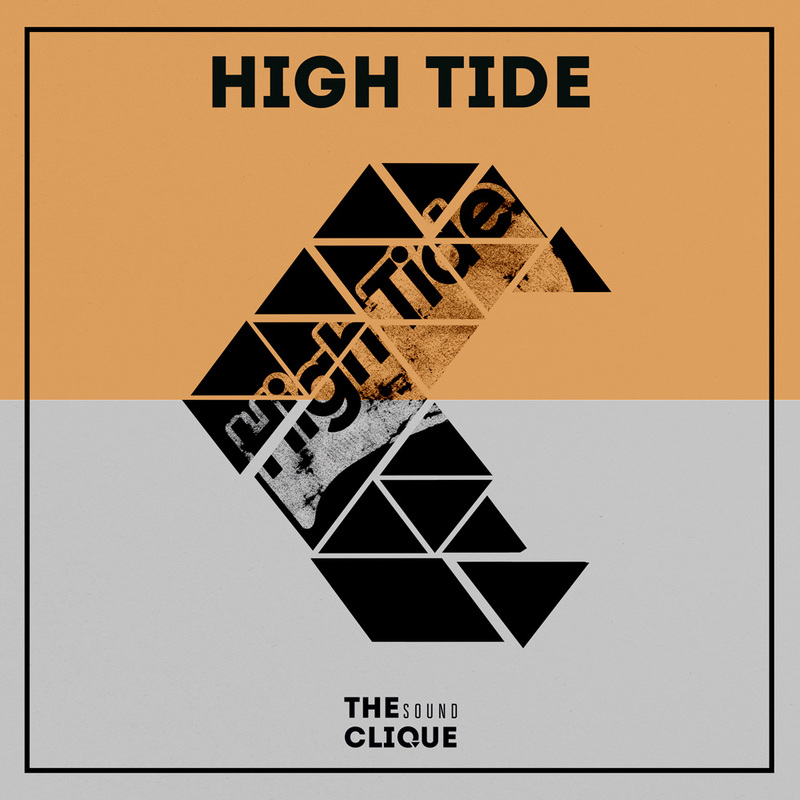 Follow High Tide on Facebook and SoundCloud.